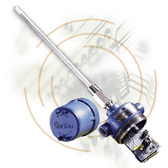 Mettler Toledo Process Analytics represents only the highest quality analytical measuring instruments. 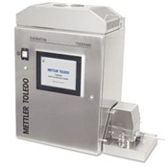 Mettler Toledo provides analytical instruments used to measure pH, Dissolved Oxygen, CO2, Conductivity, TOC, GPO, Turbidity and Microbial Detection. Click here to review analytical products. Ametek represents quality analytical measuring instruments. Ametek's analytical instruments are used to measure Chromatography, Photometric, and Refractive Index analysis. 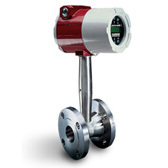 Sierra Instruments, Delta M Corporation, Rheonik, Great Plains Industries and GF Signet all provide excellent flow measuring instruments. Click here to review flow products. These technologies include radar, laser, capacitance, magnetostrictive, ultrasonic, load cells, magnetic level, and thermal dispersion, among others. We represent many manufacturers including ABB/K-TEC, RobertShaw, and Delta M Corporation. Click here to review level products. 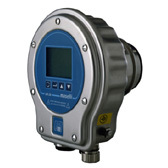 The Maselli group of companies has continued to make important technical contributions to the evolution of liquid analysis instrumentation since its organization in 1948. Today, Maselli Misure SpA in Parma, Italy is one of only a few companies worldwide capable of developing and constructing automatic on-line and laboratory liquid analyzers. 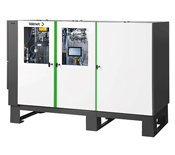 Valmet is the leading global developer and supplier of technologies, automation and services for the pulp, paper and energy industries. Valmet’s vision is to become the global champion in serving its customers. Our 12,000 professionals around the world work closely with their customers and are committed to moving their customers’ performance forward – every day. Click here to review density products. 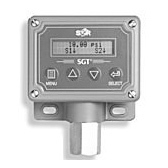 SOR®, Azbil, and Cecomp provide pressure sensing products that use minimal moving parts for unmatched quality, reliability and durability. Both companies manufacture nearly one hundred process instruments that are used in a variety of applications such as power generation, oil and gas, cement and water treatment. Click here to review pressure products. 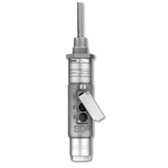 Today, SOR®, Azbil, and Cecomp temperature sensing products use minimal moving parts for unmatched quality, reliability and durability. They now manufacture nearly one hundred process instruments that are used in a variety of applications such as power generation, oil and gas, cement and water treatment. Click here to review temperature products. 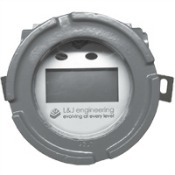 L&J Engineering was started in 1976 by an engineer who had a better idea in electronic tank gauging. L&J provides quality products for the Petroleum, Petrochemical, Chemical, Food, Pharmaceutical, Pipeline, Wastewater, Steel and Waste Treatment Industries. The L&J Technologies family of companies are global manufacturers of tank level gauging and tank fitting equipment, control systems and related products. Click here to review ground level display products.